I’ve mentioned in a few previous posts that earlier this year, Japan Expo in France was lucky enough to see the debut overseas performance of energetic rookie male idol group, BREAK☆THROUGH”5D. At the same event, dansou (girls-dressed-as-handsome-boys) group THE HOOPERS returned to Europe for round two after their performance in London last year. But they weren’t the only idol boys to crash Japan Expo this year. 7-member (now 9-member) group EPIC STAR also put on a great performance where they enthusiastically introduced themselves to their French fans for the first time. EPIC STAR refer to themselves as an “idol-style otaku group”. They received the privilege of performing at the large event in Paris after being declared the winners of the first ever edition of Tokyo Candoll -BOYS-, an annual competition for up and coming male idol groups. The female idol equivalent - Tokyo Candoll - has been active for 3 years and this year’s winners - notall - were also able to perform at Japan Expo. EPIC STAR’s “otaku” influence is very evident in their performances. They have songs dedicated to their love of anime and idols, and wotagei is a huge part of their shows. During their Japan Expo performance the members themselves performed complex wotagei routines and they even tried to teach the audience their trademark calls and responses despite the language barrier. The full video of EPIC STAR's performance at Japan Expo 2017. In an interview from earlier this year that was only recently uploaded to the Japan Expo YouTube channel, the members talk about how much they enjoyed their show in France and how they would definitely like to come back for more. They also state that they want to spread the love of male idol groups all over the world and become the number one group of their kind. I can definitely stand behind them in this mission; especially if it means there might be even more overseas lives in the future! An interview with EPIC STAR from the Japan Expo YouTube channel. The video is in Japanese with French subtitles but you can use YouTube's 'auto-translate' feature to translate the subs into English. The translation isn't perfect obviously but it's understandable. Sadly, some time after their performance in France member Kazuma (The cutie in green AKA my favourite member, grr!) departed from the group but they have since added three new members and changed their name to "Shin Seiki EPIC STAR Kami". Their first physical single, "Epic Quest" is set to be released in January 2018. What do you think of EPIC STAR? 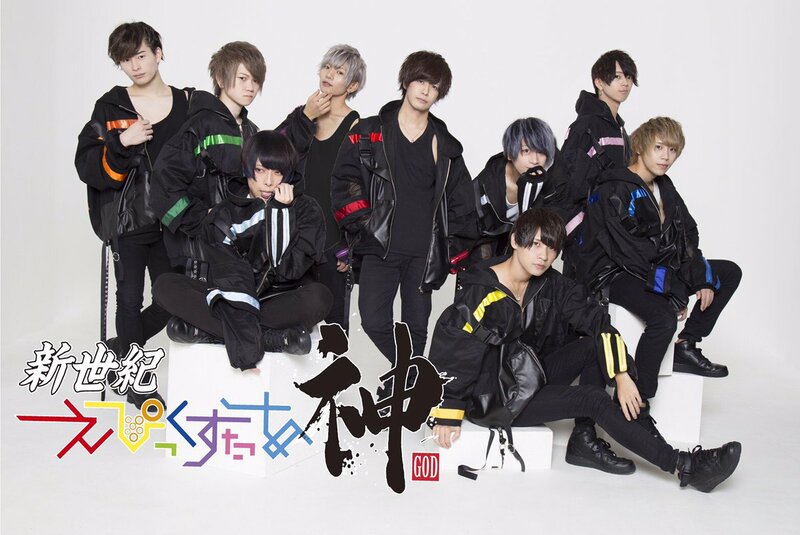 Also, Japan Expo's partnership with Tokyo Candoll -BOYS- is looking like it could mean more male idol groups performing at the event in the future. Is this something you're looking forward to? I know I am!